Japan, the EU, and human rights LU, Wenjie & ENKH-AMGALAN Dulguun May, 22nd, 2013. 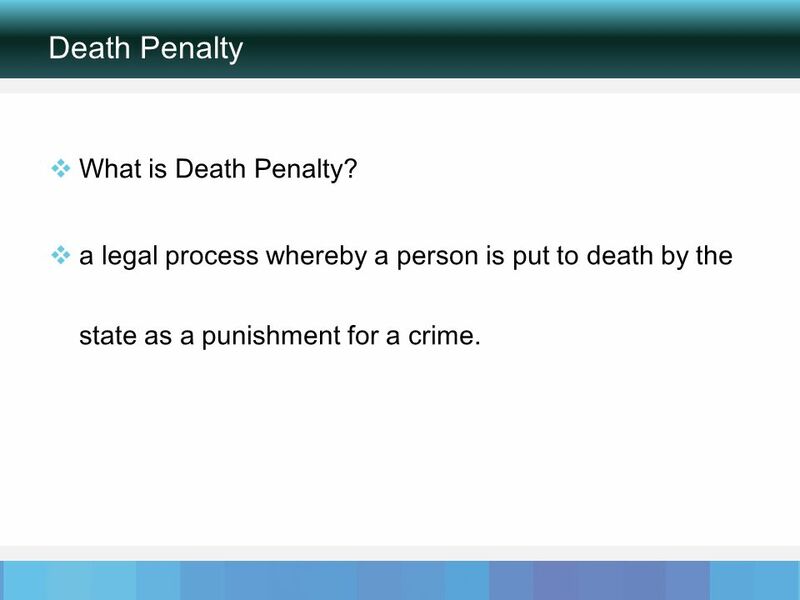 3 Death Penalty What is Death Penalty? 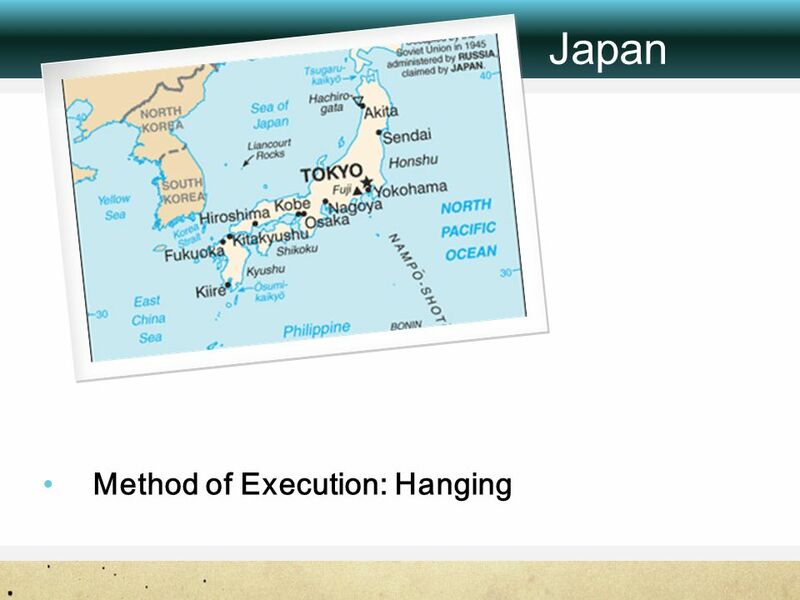 a legal process whereby a person is put to death by the state as a punishment for a crime. 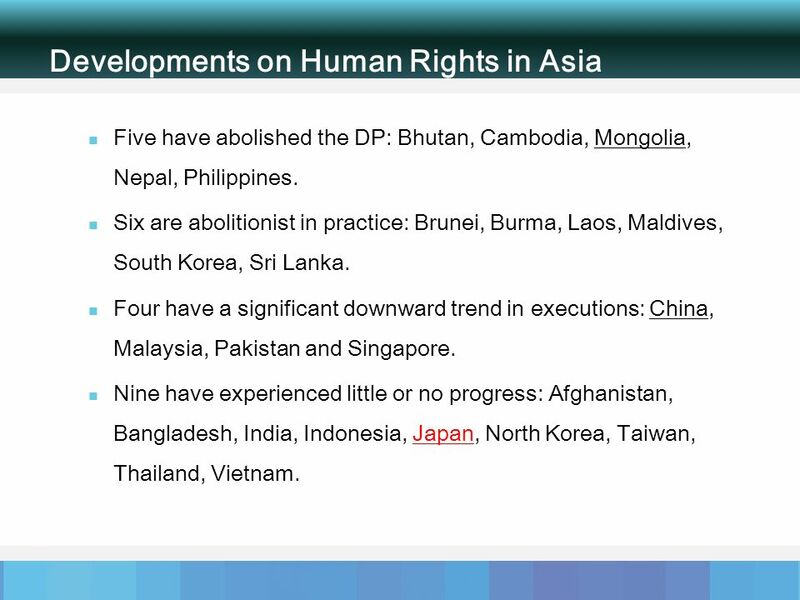 6 Developments on Human Rights in Asia Five have abolished the DP: Bhutan, Cambodia, Mongolia, Nepal, Philippines. Six are abolitionist in practice: Brunei, Burma, Laos, Maldives, South Korea, Sri Lanka. 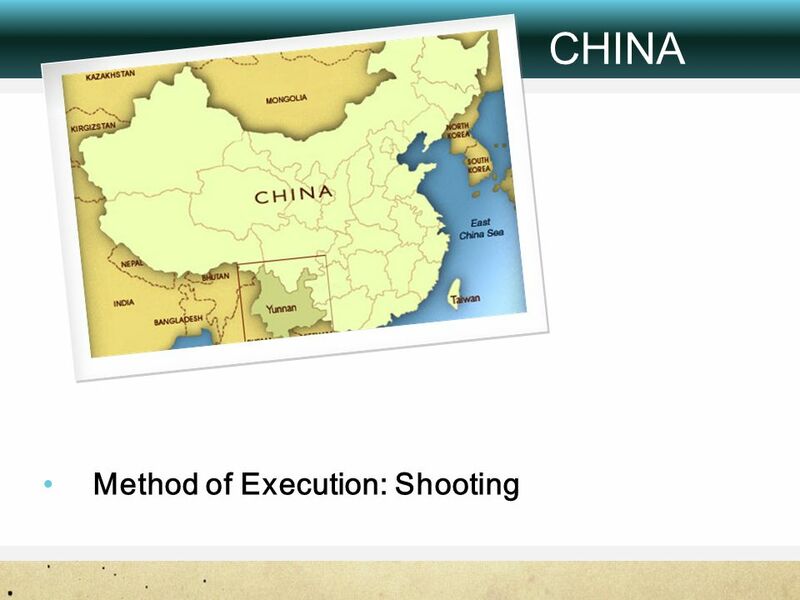 Four have a significant downward trend in executions: China, Malaysia, Pakistan and Singapore. Nine have experienced little or no progress: Afghanistan, Bangladesh, India, Indonesia, Japan, North Korea, Taiwan, Thailand, Vietnam. 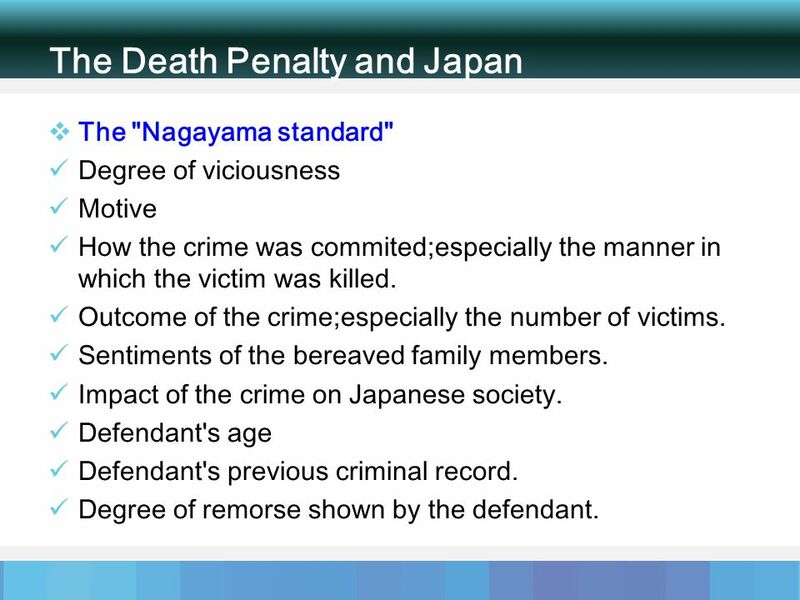 10 The Death Penalty and Japan The "Nagayama standard" Degree of viciousness Motive How the crime was commited;especially the manner in which the victim was killed. 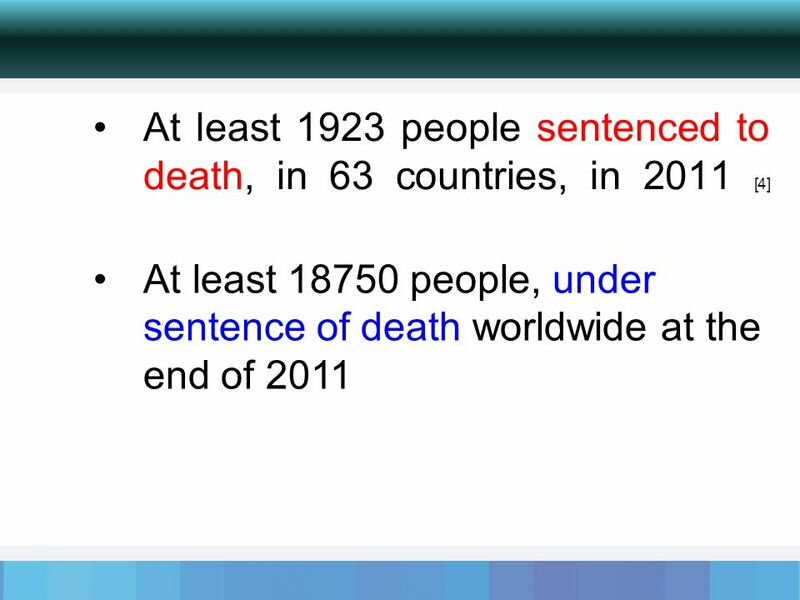 Outcome of the crime;especially the number of victims. Sentiments of the bereaved family members. 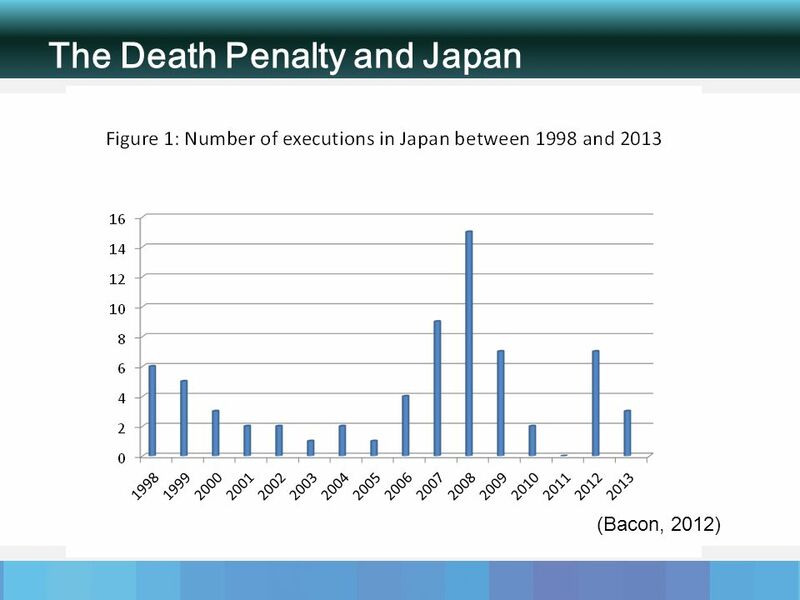 Impact of the crime on Japanese society. Defendant's age Defendant's previous criminal record. Degree of remorse shown by the defendant. 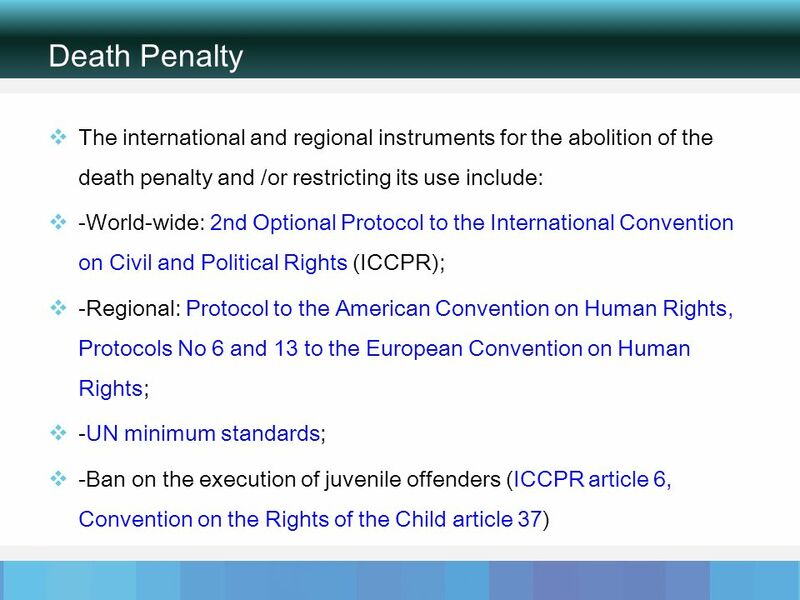 14 EU Policy on the Death Penalty The EU is the leading institutional actor in the fight against the death penalty worldwide and its action in this area represents a key priority of its external human rights policy. 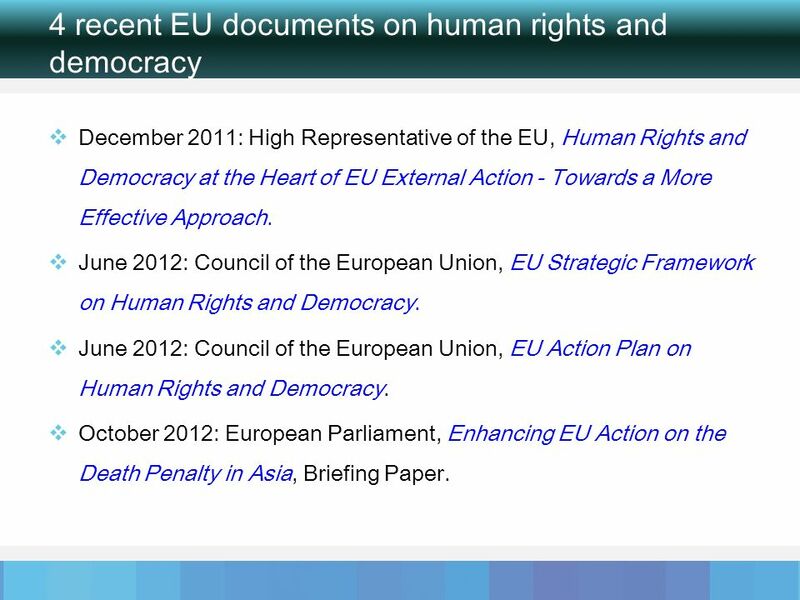 15 4 recent EU documents on human rights and democracy December 2011: High Representative of the EU, Human Rights and Democracy at the Heart of EU External Action - Towards a More Effective Approach. June 2012: Council of the European Union, EU Strategic Framework on Human Rights and Democracy. 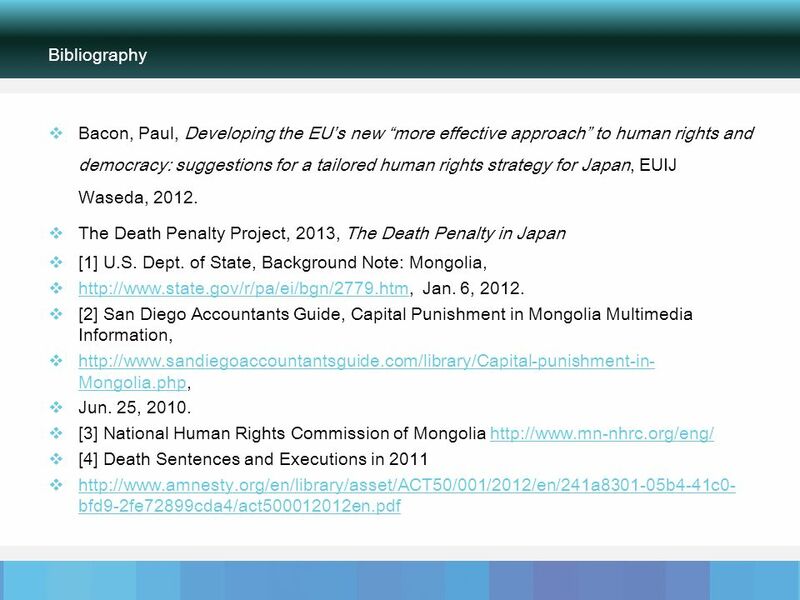 June 2012: Council of the European Union, EU Action Plan on Human Rights and Democracy. 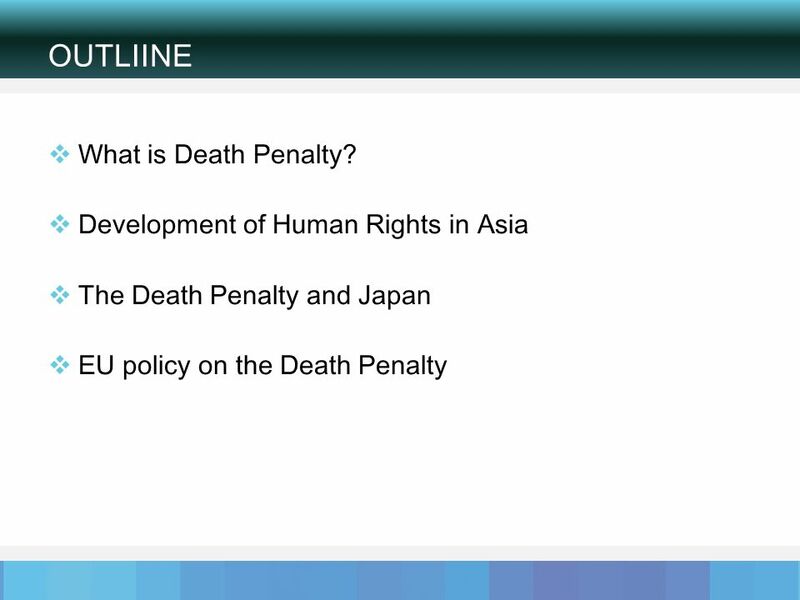 October 2012: European Parliament, Enhancing EU Action on the Death Penalty in Asia, Briefing Paper. 16 Core elements of the 4 EU documents Renewal - policy needs to bemore active, more coherent, more effective. Tailoring – need to create tailored, bottom-up, country-specific human rights strategies. Priorities - administration of justice, and the right to a fair trial (due process) recognized as human rights priorities. Universal - commits the EU to universal human rights norms. 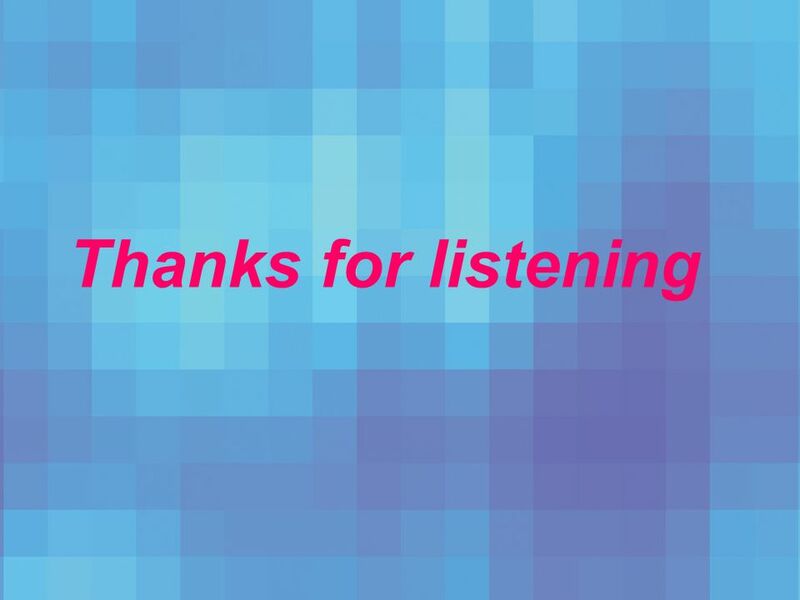 Local – commits the EU to working in partnership with local civil society organizations. Campaigns - need for cross- cutting themes such as judicial reform, right to a fair trial (HR). 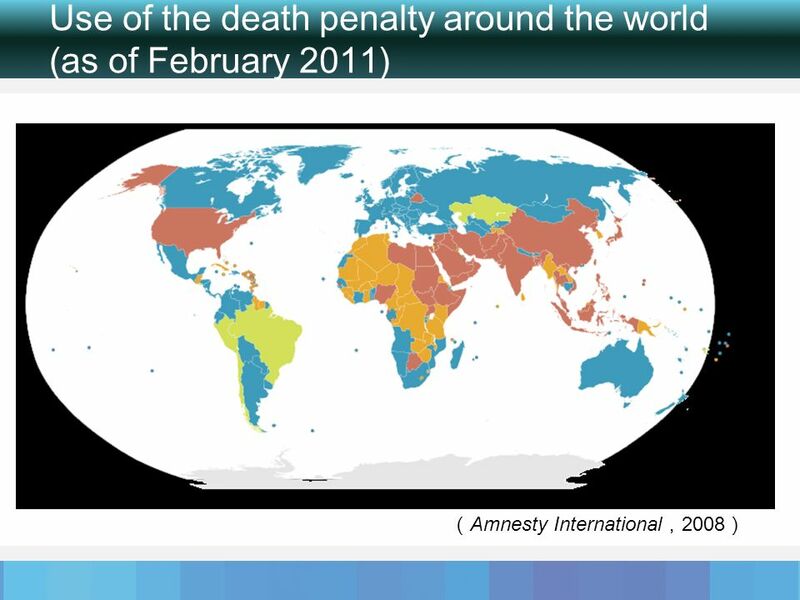 HR – in some countries, abolition of the death penalty is unlikely. In such cases it would be more practical to shift attention to other issues. Parliament – countries are at different stages on journey to abolition, and therefore require different strategies. All states to ratify and implement universal human rights treaties. 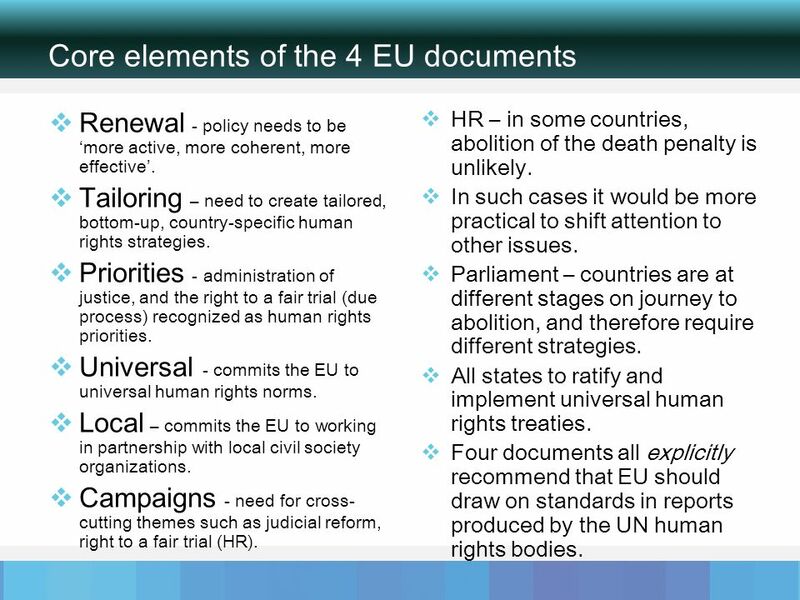 Four documents all explicitly recommend that EU should draw on standards in reports produced by the UN human rights bodies. 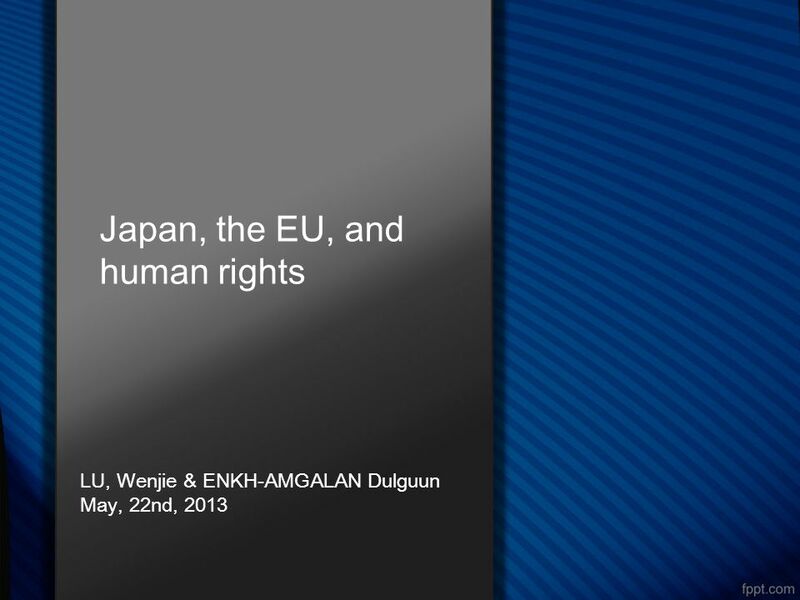 Download ppt "Japan, the EU, and human rights LU, Wenjie & ENKH-AMGALAN Dulguun May, 22nd, 2013." Asia-Link Programme Overview Seoul, November /13 Last Updated: October 2003 Annex H.
1 The Asian Water Cycle Initiative (AWCI) International Task Team (ITT) Working Session Rama Gardens Hotel, Bangkok, Thailand September 25, 2006 Bangladesh. EuropeAid CALL FOR PROPORSALS: Strengthening the role of civil society in promoting human rights and democratic reform Reference: EuropeAid/131597/L/ACT/LB. 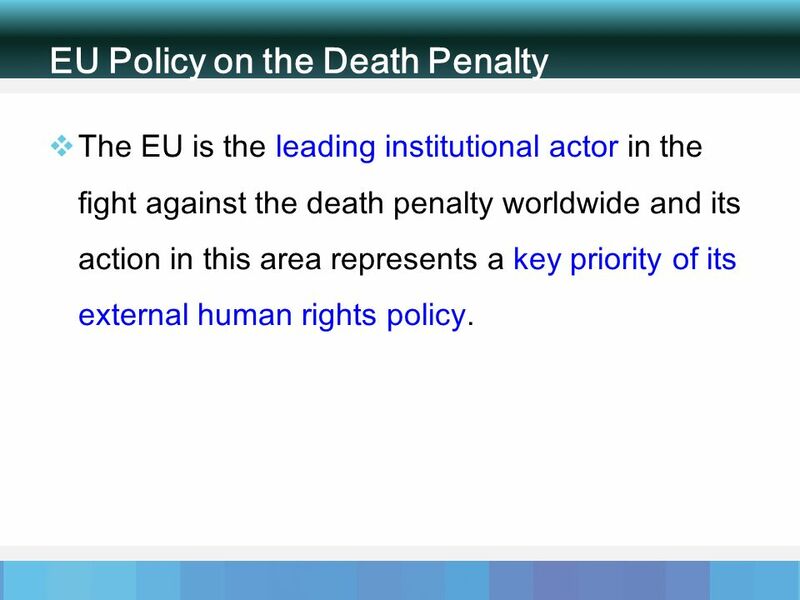 EU Policy on the Abolition of the Death Penalty European/World Day against the Death Penalty, 10 October 2008 DG RELEX, Unit Human Rights and Democratisation. Youth Parliament & Participation President, Asia-Pacific Youth Parliament for Water Youth Delegate, World Water Council Stakeholder, Youth Forum, Budapest. Formulation of Rice Strategy Strategic choices on rice trade policy Ramesh Sharma FAO Regional Office, Bangkok November 2013. Importance and Perspectives of Universal Periodic Review (UPR) and Roles of Civil Society Organisations. Asian and the Pacific Disabled People’s Organizations. Lecturer: Miljen Matijašević G10, room 6/I, Tue 15:30-16:30 Session 4, 28 Oct 2014. Disability Rights Tribunal in Asia & the Pacific Project :Disability Rights Tribunal in Asia & Pacific Funded by TOYOTA FOUNDATION Project Leader Senior. Towards a “more effective approach” to human rights and democracy: developing tailored human rights strategies for the Asia-Pacific within a comparative. Key Lessons from UNDP-GEF biodiversity conservation projects in the Asia Pacific Region Sameer Karki Regional Technical Adviser UNDP Regional Centre in. 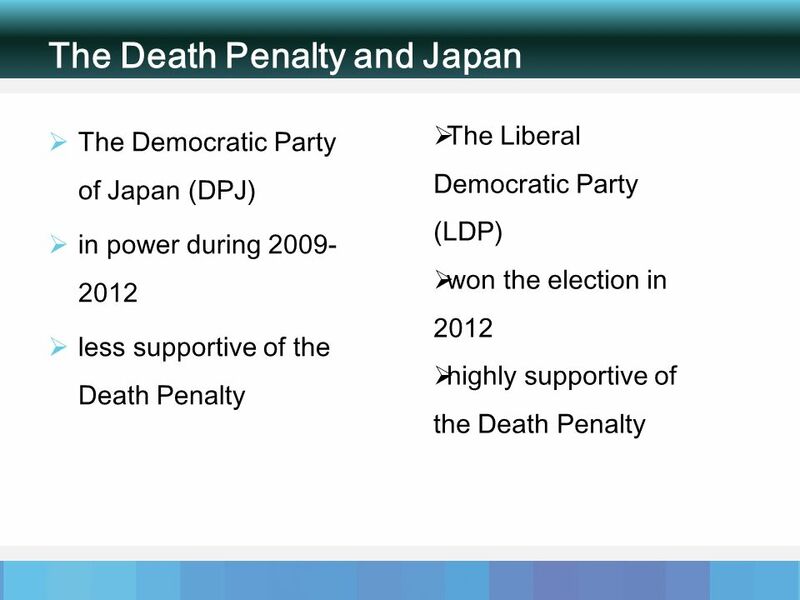 The International Use of the Death Penalty: With an Emphasis on the United States Harry R. Dammer Chair, Criminal Justice Dept. University of Scranton. XXXXXXXXXXX. 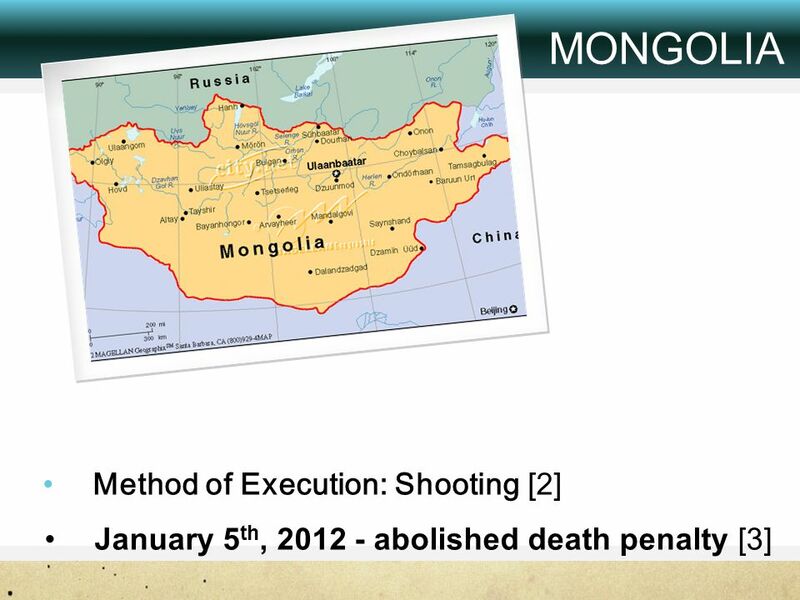 Where is Mongolia? A B D C XXXXXXXXXXX Where is China? A B D C.